“Product” or “Products” shall mean Azuga’s proprietary products and services set out on the order form incorporating these Terms, which products and services may include AZUGA G2, Azuga Fleet, Azuga Elogs, Add-on packages and all related support documentation whether in electronic or other medium or format. Provided that Customer shall comply with these Terms, Azuga grants Customer non-exclusive, non-transferable, limited, revocable license, without the right to assign or sublicense, to use the Products solely for the purposes set forth in and subject to this agreement, except for the license expressly granted hereby, no other rights or licenses are granted to Customer, either express or implied, including, without limitation, any intellectual property rights of Azuga or its suppliers or licensor. Customer shall not alter, change or remove from the Product any identification or notice, including but not limited to copyright, trademark, proprietary legends or other notices of Azuga. Customer understands that Azuga may make upgrades to Product models, designs, parts and accessories from time to time and may, in its sole reasonable discretion, replace Customer’s existing Products with such new Products. Azuga’s Lifetime Hardware Warranty applies to Products deemed to be within a certain design specification and within a family of products by Azuga and shall not be unilaterally be construed to be ‘any product, under any conditions, at any time’. Such Product upgrades or transitions to new product line(s) may involve a reasonable charge to Customer; if Azuga intends to charge for any such Product upgrade or transition, it shall deliver advance written notice to Customer outlining the timing and amount of such requested charge, and within thirty (30) days of its receipt of such written notice Customer may either agree to pay such charge or terminate the Agreement, without liability for early termination charges of any kind. Customer has: (i) examined the Product and found it suitable for Customer’s needs; (ii) relied solely upon Customer’s own judgment and inspection in determining that the Product is of acceptable quality and fitness for purpose; (iii) satisfied itself that installation and use of the Product does and will not interfere or in any other manner affect any vehicle systems beyond limits acceptable to Customer; and (iv) satisfied itself that installation and use of the Product does and will not void or in any other manner affect any manufacturer or other applicable vehicle warranty. Customer acknowledges and agrees that it is Customer’s responsibility to secure and maintain all necessary and advisable insurance coverages related to the use of the Product and Customer will not hold Azuga responsible for any claims due to injury, loss or damage whatsoever or howsoever caused. In the event of loss or irreparable damage to the Product, Customer’s liability for such loss or irreparable damage shall not exceed USD $149.00 per unit for the DataLogger (Manufactured by Danlaw) Plug-and-Play hardware for light duty (OBD II), heavy duty (JBUS) vehicles. Asset trackers manufactured by Calamp will have a price of $160. Dashcam Cameras manufactured by SmartWitness will be charged $500. Other devices will be charged as per the manufacturer recommended prices. EXCEPT FOR WARRANTIES EXPRESSLY PROVIDED TO CUSTOMER BY AZUGA IN THIS AGREEMENT, ALL PRODUCTS ARE PROVIDED “AS IS” AND EXCLUSIVE OF ANY EXPRESSED OR IMPLIED WARRANTY, INCLUDING, WITHOUT LIMITATION, ALL WARRANTIES OF MERCHANTABILITY, FITNESS FOR PARTICULAR PURPOSE, NON-INFRINGEMENT OF THIRD PARTY RIGHTS OR OTHERWISE, WHICH ARE EXPRESSLY DISCLAIMED BY AZUGA. Customer understands and acknowledges that, except where otherwise provided by law, the implied warranties of merchantability and fitness for a particular purpose and all other warranties expressed or implied are excluded by Azuga from this transaction and shall not apply to the Products, that Azuga makes no warranties whatsoever regarding the Products and that Azuga disclaims and excludes from this transaction all warranty obligations which exceed or exist over and above the legal warranties required by applicable state law. In the event of the termination of this Agreement for any reason, Customer shall immediately cease all use of the Product and return all portions of the Product at Customer’s expense (unless otherwise agreed). All services provided by Azuga through the Product shall immediately terminate and if Customer fails to return the Product to Azuga within fifteen (15) days after any such termination, Azuga is authorized to charge Customer USD $149.00 for each unit of the Product supplied to Customer for purposes of this agreement. Termination or expiration shall not relieve Customer from any liability arising from any breach of this agreement. “Services” shall mean vehicle tracking and monitoring (in conjunction with use of Products) and other services provided by Azuga via the Website (defined below) for use by Customer in accordance with this Agreement from time to time. Azuga will provide Customer with non-exclusive, non-transferable, limited, revocable access to the Services and the Website via a telecommunications network (i.e. “Internet” access) for Customer’s use solely in conjunction with Customer’s use of the Products pursuant to this agreement. By accessing, viewing or otherwise using the Website, Customer acknowledges reading, understanding and agreeing with all of the provisions of this Agreement. Customer shall bear full responsibility for the provision and maintenance of all required software and equipment (including portable or mobile devices, if applicable) and Internet connectivity at its location(s) and shall comply with all reasonable requests by Azuga to provide access to such information, materials, personnel and equipment as Azuga may deem necessary or advisable. The information contained on the Website, including all images, designs, photographs, writings, data, information and other materials (“Materials”) are the property of Azuga or its authorized licensors, sponsored parties and/or content providers and are protected by copyrights, trademarks, trade secrets and other proprietary rights. Customer is granted permission to display, copy, distribute, download and print portions of the Website solely for the purposes of using the Services and other authorized uses described in this Agreement. All copyright laws worldwide apply to use of the Website and unauthorized use and/or copying of the Materials is strictly prohibited. Except as may be provided in this Agreement, Azuga does not grant any express or implied right in or under any patents, trademarks, copyrights, or trade secret information whatsoever. Except as set forth in this Agreement, Customer agrees: (i) not to alter, copy, modify, or re-transmit the Materials; (ii) not to lease, license, rent or sell the Materials or the right to use and access the Website and/or the Services; (iii) not to remove, obscure, or alter any text or proprietary notices on the Website or contained in the Materials; (iv) not to copy or imitate part or all of the design, layout or look-and-feel of the Website or the Materials all of which are protected by intellectual property rights; and (v) that certain Services and Materials may be available only upon Customer having paid an additional subscription fee. Customer expressly acknowledges and agrees that use of the Website and hyperlinks on the Website (if any) are at Customer’s sole risk and that neither Azuga, its affiliates, nor their respective officers, managers, directors, agents, employees, contractors or subcontractors warrant: (i) that the Website will be uninterrupted, error-free, free of software viruses or other harmful computer code, files or programs; (ii) that the Materials or other data or information obtained from use of the Website, are accurate, complete, secure, current or free of errors, omissions, inaccuracies or outdated information; and/or (iii) the reliability of any statement or other information displayed or distributed through the Website. Azuga reserves the right, in its sole discretion, to correct any such errors or omissions and to make any other changes to the Website, the Materials, the Products and to the programs, services or prices (if any) described on the Website from time to time at any time with or without notice. Customer warrants that it is author and sole owner of the intellectual property rights to any confidential, secret or proprietary information or other material, information or opinions uploaded to the Website or otherwise submitted to Azuga (collectively, “Content”). Customer acknowledges that Azuga does not pre-screen, monitor, review or edit Content and is not responsible for nor assumes any liability for inaccuracy or incompleteness or any other defect or deficiency related to any such Content. Customer agrees not to use the Products, Website, Materials and Services to: (i) share or encourage or permit others to share any Content that is unlawful, threatening, abusive, tortious, defamatory, libelous, vulgar, obscene, pornographic, lewd, profane, invasive of another’s privacy, hateful, racially, ethnically, or otherwise objectionable, or that Customer does not have a right to share under any law or contractual or fiduciary relationship or that infringes any intellectual property right or other proprietary right of any party, or that contains software viruses or any other computer code, files, or programs designed to interrupt, destroy, or limit the functionality of any computer software, hardware, or telecommunications equipment; (ii) stalk, intimidate, and/or harass another or incite others to commit violence; (iii) impersonate any person or entity or falsely states or otherwise misrepresents any affiliation with a person or entity, including use of the Services or Materials to mislead anyone into believing that they are interacting directly with Azuga or any of the Services; (iv) engage in any chain letters, contests, junk email, pyramid schemes, spamming, surveys, or other duplicative or unsolicited messages (commercial or otherwise); (v) use any Azuga domain name as a pseudonymous return email address; (vi) access or use the Website or the Services in any manner that could damage, disable, overburden or impair any Azuga server or networks connected to any Azuga server; (vii) intentionally or unintentionally interfere with or disrupt the Website or the Services or violate any laws related to the access to or use of the Website or the Services, violate any requirements, procedures, policies, or regulations of networks connected to the Website or the Services, or engage in any activity prohibited hereby; (viii) disrupt or interfere with the security of, or otherwise cause harm to, or inhibit any other user from using, the Products, Website, Services, Materials, systems resources, accounts, passwords, servers or networks connected to or accessible through the Website or any affiliated or linked sites; (ix) access or attempt to access any Material that Customer is not authorized to access or through any means not intentionally made available thereto; (x) market or promote any goods or services for any business purposes (including advertising and making offers to buy or sell goods or services), unless specifically allowed to do so by Azuga; (xi) use any data mining, robots or similar data gathering and extraction methods in connection with the Products, Website, Services or Materials; (xii) defraud, defame or otherwise violate the legal rights (such as rights of privacy and publicity) of others; or (xiii) collect or store data about other users. Azuga will store Customer-transmitted information on its servers for a period of ninety (90) days during which Customer may access the information and generate reports in connection therewith so long as Customer is not in default of this Agreement. Azuga uses reasonable efforts to make the Services available 24 hours a day, 7 days a week. However, there will be occasions when the Website and/or the Services will be interrupted for maintenance, upgrades and repairs, or as a result of failure of telecommunications links and equipment that are beyond its control. To the extent it is within its reasonable control, Azuga may, in its sole discretion, take reasonable steps to minimize such disruption but shall not be liable for its inability to prevent any such disruption or restore the Services to Customer or anyone else. 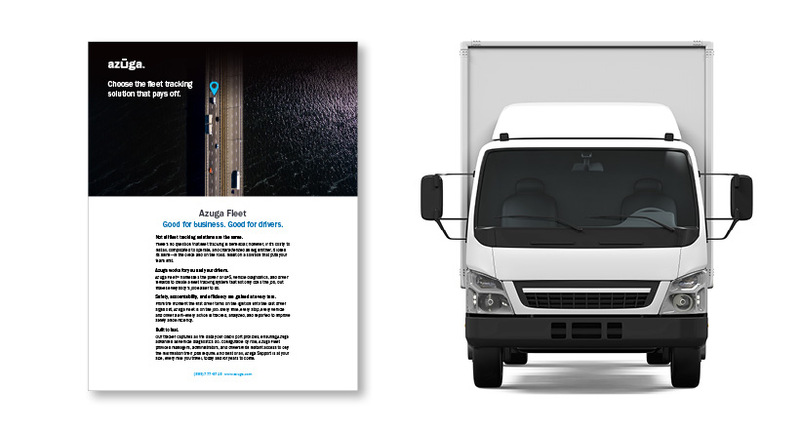 Azuga and its affiliates, partners and licensors provide certain features or services that rely upon automotive sensor and GPS location to provide such features or services, where available. Azuga and its affiliates, partners and licensors may collect, use, transmit, process and maintain Customer information and Customer agrees that Azuga may use and provide to its affiliates, partners, and licensors any aggregated information, including, but not limited to location coordinates of any Azuga device, sensor data and the time stamp when the information was received, for its bona fide business purposes so long as such aggregated information does not disclose any personally identifiable information of the Customer. THE WEBSITE AND THE INFORMATION, CONTENT, AND MATERIALS ON THE WEBSITE ARE PROVIDED ON AN “AS IS,” “WHERE IS,” AND “WHERE AVAILABLE” BASIS. AZUGA MAKES NO REPRESENTATIONS OR WARRANTIES OF ANY KIND, EXPRESS OR IMPLIED, AS TO THE OPERATION OF THE SITE, THE CONTENT, INFORMATION OR MATERIALS ON THE WEBSITE. TO THE FULLEST EXTENT PERMISSIBLE UNDER APPLICABLE LAW, AZUGA EXPRESSLY DISCLAIMS ALL WARRANTIES, EXPRESS OR IMPLIED, OF ANY KIND, WITH RESPECT TO ANY OF THE MATERIALS, CONTENT, OR INFORMATION ON THE WEBSITE OR ANY GOODS OR OTHER PRODUCTS OR SERVICES PROVIDED, OFFERED, SOLD, OR DISPLAYED ON THE WEBSITE OR USE OF THE WEBSITE GENERALLY, INCLUDING WARRANTIES OF MERCHANTABILITY, ACCURACY OF INFORMATION, QUALITY, TITLE, FITNESS FOR A PARTICULAR PURPOSE, AND NON-INFRINGEMENT. SOME JURISDICTIONS LIMIT OR DO NOT ALLOW THE DISCLAIMER OF IMPLIED OR OTHER WARRANTIES SO THE ABOVE DISCLAIMER MAY NOT APPLY TO THE EXTENT SUCH JURISDICTION’S LAW APPLIES TO THIS AGREEMENT. CUSTOMER AGREES THAT AZUGA AND ITS PROVIDERS SHALL NOT BE LIABLE FOR ANY DAMAGE, LOSS OR EXPENSE OF ANY KIND ARISING OUT OF OR RESULTING FROM CUSTOMER’S ACCESS TO OR USE OF THE MATERIALS, CONTENT AND INFORMATION ON THE WEBSITE REGARDLESS OF WHETHER SUCH LIABILITY IS BASED IN TORT, CONTRACT OR OTHER LEGAL THEORY. UNDER NO CIRCUMSTANCES SHALL AZUGA OR ANY OF ITS PROVIDERS BE LIABLE FOR ANY DIRECT, INDIRECT, SPECIAL, INCIDENTAL, CONSEQUENTIAL, OR PUNITIVE DAMAGES (INCLUDING, WITHOUT LIMITATION, LOSS OF PROFITS, LOSS OR CORRUPTION OF DATA, LOSS OF GOODWILL, WORK STOPPAGE, COMPUTER FAILURE OR MALFUNCTION, OR INTERRUPTION OF BUSINESS), ARISING OUT OF OR IN ANY WAY RELATED TO THE MATERIALS, CONTENT OR INFORMATION ON THE WEBSITE OR ANY OTHER PRODUCTS, SERVICES, OR INFORMATION OFFERED, SOLD OR DISPLAYED ON THE WEBSITE, OR THE USE OF, OR INABILITY TO USE, THE WEBSITE GENERALLY, OR OTHERWISE IN CONNECTION WITH THIS AGREEMENT, REGARDLESS OF WHETHER AZUGA OR ANY OF ITS PROVIDERS HAVE BEEN ADVISED OF THE POSSIBILITY OF SUCHAS SOME STATES DO NOT ALLOW THE LIMITATION OF LIABILITY FOR CONSEQUENTIAL OR INCIDENTAL DAMAGES, THE ABOVE LIMITATION MAY NOT APPLY. AZUGA WILL NOT BE LIABLE FOR ANY LOSS THAT CUSTOMER MAY INCUR AS A RESULT OF THE UNAUTHORIZED USE OF CUSTOMER’S PASSWORD, ACCOUNT OR ACCOUNT INFORMATION WITH OR WITHOUT CUSTOMER’S KNOWLEDGE. 1) Certain Services require the purchase of a subscription in order to access all or part of such services for the period of time set out on the order form for the Services (each, a “Subscription Term”). Except if otherwise stated in the applicable order form, subscription fees are non-refundable and may change at the end of a Subscription Term. All taxes levied in connection with use of the Services, as well as any credit card company or other bank fees whatsoever imposed in connection with payment subscription fees, are the sole responsibility of and are payable by Customer. All monetary amounts referenced in or in connection with this Agreement shall be in United States currency (“USD”). 2) Customer agrees that, in the event Azuga is unable to collect subscription fees owed by Customer to Azuga for the Services, Azuga may take the steps it deems necessary to collect such subscription fees and that Customer will be responsible for all costs and expenses incurred by Azuga in connection with such collection activity, including reasonable attorneys’ fees. 3) Customer shall ensure that its account information is and will always be complete, accurate and up-to-date. Customer should ensure that their account password or log-in credentials are kept confidential at all times and is solely responsible to Azuga for all activity that occurs via its account. If Customer becomes aware of any unauthorized use of its account or account information, or any other breach of security, it agrees to immediately notify Azuga and Azuga, in its sole discretion, may require changes to Customer’s account information at any time for any reason. 4) Customer agrees not to access or attempt to access the Website or use the Services by any means other than the interface provided by Azuga or circumvent any access or use restrictions put into place to prevent certain uses of the Products, Website, Materials and Services. For Azuga Fleet product(s): In the event this Agreement is terminated prior to the expiration of a Subscription Term either: (i) for Customer’s convenience or (ii) due to Customer’s material breach of this Agreement, Customer shall pay Azuga an early termination fee (“ETF”) of $100 per device if the termination occurs in the first year of the Subscription Term and $50 per device if such termination occurs at any point after the first full year of a Subscription Term. As an example only, a customer with a fleet of 10 vehicles who signed up on Jan 1 2013 for a 3 year Subscription Term decides to terminate early on May 11 2013. The ETF per device would be $100 and for the fleet, it would be 10 x $100 = $1000. Using the same example, if this customer terminates on March 1 2015, the ETF would be 10 X $50 = $500. When a customer renews a contract the ETF terms and period is also renewed. For Azuga Elogs product(s): In the event this Agreement is terminated prior to the expiration of a Subscription Term either: (i) for Customer’s convenience or (ii) due to Customer’s material breach of this Agreement, Customer shall pay Azuga an ETF of the monthly subscription fee x number of months remaining on the Subscription Term (Azuga Elogs products are contracted for 3 years or more). Example, a customer paying a monthly fee of $40 for a software and hardware lease bundle who terminates 6 months after the contract effective date would be required to pay $40 x 30 months remaining = $1200 per vehicle/unit. For Azuga Dashcam Enterprise product(s), Powered by Smartwitness: In the event this Agreement is terminated prior to the expiration of a Subscription Term either: (i) for Customer’s convenience or (ii) due to Customer’s material breach of this Agreement, Customer shall pay Azuga an ETF of the monthly subscription fee x number of months remaining on the Subscription Term (Azuga Elogs products are contracted for 3 years or more). Example, a customer paying a monthly fee of $40 for a software and hardware lease bundle who terminates 6 months after the contract effective date would be required to pay $40 x 30 months remaining = $1200 per vehicle/unit. The parties intend that any ETF constitutes compensation, and not a penalty, for economic loss associated with providing new devices, lifetime warranties, shipping expenses, and carrier network charges, but are not intended as estimated damages or compensation for or to otherwise cover other losses resulting from a material breach of these terms, including, without limitation, losses associated with intellectual property infringement. The parties acknowledge and agree that such harm caused by such an early termination would be impossible or very difficult to accurately estimate as of the effective date of these terms, and that the ETF is a reasonable estimate of the anticipated or actual harm that might arise from an early termination as it relates to recouping losses associated with providing new devices, lifetime warranties, shipping expenses, and carrier network charges. 6) Contract Renewal: Each Subscription Term will automatically renew for the original term of the period of upon its expiration unless either party provides notice of intent not to renew in writing prior to 60 days before the end of the then current Subscription Term. For example, a customer that signs up on Jan 1 2018 for a 3 year period will be automatically renewed for a further 3 years on Jan 1 2021. 7) Late Fees: Interest at the rate of one and one-half percent (1.5%) per month (or the highest rate permitted by law, if such rate exceeds the highest rate permitted by law) to compensate Azuga for the extra administrative expenses incurred by it. 8) Data overage fees: For Azuga Elogs product(s) and Azuga Dashcam, any overages will be the responsibility of the customer and will be billed accordingly on a monthly basis. 9) Co-Termination: Contracts are flexible to allow for Co-Termination, with the exception that 50 % of vehicles are added within 6 months of the contract end date. As an example, a customer begins a journey with Azuga on January 1 2019 with 10 vehicles on a 2 year contract. On January 1 2020, 2 more vehicles are added. The contract end date is unchanged. On October 1 2020, 15 vehicles are added. Since this represents more than 50% of vehicles, as computed on the existing vehicle count, the new contract end date is October 1 2022. 1) Customer agrees to be bound by any affirmation, assent, or agreement transmitted through the Website, including but not limited to any consent given to receive communications from Azuga solely through electronic transmission, and agrees that by clicking on an “I Agree”, “I Consent” or other similarly-worded button or entry field by mouse, keystroke or other computer device, such agreement or consent will be legally binding and enforceable and the legal equivalent of a handwritten signature delivered by or on behalf of Customer. Customer may not use the Products, Website, Materials, Services or any one of more of them if otherwise prohibited by law or if Customer is not fully able and competent or otherwise lacks the capacity to enter into this Agreement. Customer affirms that it has the capacity and legal authority to enter into this Agreement and that the individual executing and delivering this Agreement on behalf of Customer is duly authorized to do so and to bind Customer hereto. 2) All right, title, interest and ownership whatsoever in and to the Products, Website, Materials and Services, including improvements, modifications and enhancements thereto, in all languages, formats and media throughout the world, are and will continue to be the exclusive property of Azuga and/or its licensors and nothing herein shall be construed to confer any license or right, by implication, estoppel or otherwise, under copyright or other intellectual property rights, to Customer or any third party. All trademarks relative to the Products, Website, Materials and Services are the property of Azuga or other rights holders and may not be used without the prior consent of Azuga or the rights holder. “Azuga”, “DataLogger”, “G2” and all derivations and logos thereof, respectively, are trademarks of Azuga. 3) Customer shall not: (i) modify, translate, reverse engineer, decompile, disassemble or otherwise reduce the Products, Website, Materials and/or Services to human perceivable form, or attempt to discover the underlying algorithms or techniques except to the extent that such activities may not be prohibited by law; (ii) copy or create derivative works of the Products, Website, Materials and Services, respectively; (iii) distribute or otherwise permit or facilitate the use of the Products, Website, Materials and Services by or on behalf of any third party; or (iv) without the express written consent of Azuga, disclose or divulge to any third party confidential access codes and other information provided to Customer solely for Customer’s own use of the Products, Website, Materials and Services. 4) Customer is solely responsible for payment of any and all third-party fees required to use the Product and to access the Website (such as telephone toll charges, mobile carrier fees, ISP, data plan, etc.). Further, Customer assumes responsibility for and agrees to pay any and all taxes of any kind whatsoever charged, levied and/or payable, now or in the future, in connection with the use of the Product, Website, Materials and Services hereunder. 5) Customer agrees that Azuga may modify or discontinue, temporarily or permanently, the Products, Website, Materials or the Services, or any portion thereof, with or without notice. Azuga may automatically download and install updates designed to improve, enhance and further develop the Products, Website, Materials or Services and may take the form of bug fixes, enhanced functions, modified or new software modules or completely new versions. Customer agrees to receive such updates and permits Azuga to deliver these with or without notice as part of this Agreement. 6) Although Azuga does not generally monitor Customer activity in connection with the Services, if Azuga becomes aware of any possible violations of any provision of this Agreement, Azuga reserves the right to investigate such violations, and Azuga may, at its sole discretion, take any such action as it may deem necessary or advisable under the circumstances, including to discontinue, suspend, terminate or block Customer’s (or any user’s) use of Product and/or access to the Website and the Services, to change, alter, or remove Content or account information, in whole or in part, without prior notice. If, as a result of such investigation, Azuga believes that criminal activity has occurred, Azuga reserves the right to refer the matter to, and to cooperate with, any and all applicable law enforcement authorities. Except to the extent prohibited by applicable Law, Azuga is entitled to retain and/or disclose any information, including Content or account information (or elements thereof), in Azuga’s possession in connection with the use of the Services to (i) comply with applicable law, legal process, or governmental request; (ii) enforce this Agreement; (iii) respond to any claims that Customer has violated the rights of third parties; or (iv) protect the rights, property or personal safety of Azuga, its users or third parties, including the public at large, as Azuga in its sole discretion believes to be necessary or appropriate. 7) Without limiting its other remedies, Azuga reserves the right to discontinue, suspend, terminate or block Customer’s (or any user’s) use of Product and/or access to the Website and the Services upon any breach of this Agreement by Customer at any time, in its sole discretion or in the event that Customer makes an assignment for the benefit of creditors, or commences or has commenced against it any proceeding in bankruptcy, insolvency or reorganization pursuant to bankruptcy laws or laws of debtor’s moratorium. During any such cessation of services, Azuga shall be relieved of all performance obligations hereunder until all outstanding invoices are fully paid. Any such suspension by Azuga shall extend any deadlines for performance by Azuga of its duties and obligations for a time period equal to the time elapsed from the date Azuga suspends performance to the date Azuga receives full payment for all outstanding invoices. Termination for non-payment by Customer of fees due hereunder is in addition and without prejudice to Azuga’s right to the outstanding amount owed plus interest on amounts not fully paid within thirty (30) days after Customer’s receipt of Azuga’s invoice. A termination of this Agreement shall not limit Azuga from pursuing other remedies available to it, including injunctive relief, nor shall such termination relieve Customer of its obligation to pay all amounts owing, or yet to be paid, under or pursuant to this Agreement, and this provision shall survive any termination hereof. 8) Following any termination of this Agreement, Azuga shall have no obligation to maintain any Customer data and shall not be liable to Customer for any Customer data being expunged following any such termination hereof. 9) Customer will not hold Azuga liable for any delays caused by any occurrence beyond Azuga’s control, including any acts of God or nature or any acts or omissions of Customer and its employees and contractors. 10) AZUGA’S TOTAL LIABILITY FOR DIRECT DAMAGES UNDER THIS AGREEMENT SHALL NOT EXCEED THE FEES CUSTOMER ACTUALLY PAID TO AZUGA DURING THE IMMEDIATELY PRECEDING SIX (6) MONTH PERIOD. IN NO EVENT SHALL AZUGA BE LIABLE FOR ANY INDIRECT, INCIDENTAL, SPECIAL OR CONSEQUENTIAL DAMAGES, OR ANY PUNITIVE, EXEMPLARY OR STATUTORY DAMAGES, DIMINUTION IN VALUE, OR ANY DAMAGES BASED ON ANY LEGAL THEORY (INCLUDING THEORIES OF TORT, STRICT LIABILITY, NEGLIGENCE, OR OTHERWISE), INCLUDING DAMAGES FOR LOSS OF PROFITS, LOST REVENUE, GOODWILL, USE, DATA, OR OTHER INTANGIBLE LOSSES, EVEN IF A REMEDY FAILS OF ITS ESSENTIAL PURPOSE OR AZUGA HAS BEEN ADVISED OF THE POSSIBILITY THEREOF OR WHETHER OR NOT THE SAME ARE FORESEEABLE. FURTHER, AS SOME JURISDICTIONS PROHIBIT THE EXCLUSION OR LIMITATION OF LIABILITY FOR INCIDENTAL, CONSEQUENTIAL OR PUNITIVE DAMAGES, THE LIMITATIONS AND EXCLUSIONS IN THIS AGREEMENT MAY NOT APPLY AND, IN SUCH EVENT, ARE INTENDED TO APPLY TO ONLY THE MAXIMUM EXTENT PERMITTED BY APPLICABLE LAW. 11) BYOD (BRING YOUR OWN DEVICE) DISCLOSURE:FOR SITUATIONS WHERE CUSTOMER DECIDES TO BRING THEIR OWN HARDWARE AND UNDERLYING WIRELESS SERVICE, AZUGA HAS NO CONTROL OVER THE PERFORMANCE OF THE DEVICE, TAMPERING BY END USERS, AND ABILITY TO TROUBLESHOOT WIRELESS SERVICE PROBLEMS AS NO CONTRACTUAL RELATIONSHIP EXISTS WITH THE UNDERLYING WIRELESS CARRIER. 12) WIRELESS CARRIER DISCLOSURE: CUSTOMER IS NOT A THIRD PARTY BENEFICIARY OF ANY AGREEMENT BETWEEN CUSTOMER AND UNDERLYING WIRELESS CARRIER. CUSTOMER UNDERSTANDS AND AGREES THAT THE UNDERLYING WIRELESS CARRIER HAS NO LIABILITY OF ANY KIND TO CUSTOMER, WHETHER FOR BREACH OF CONTRACT, WARRANTY, NEGLIGENCE, STRICT LIABILITY IN TORT OR OTHERWISE. CUSTOMER AGREES TO INDEMNIFY AND HOLD HARMLESS THE UNDERLYING WIRELESS CARRIER AND ITS OFFICERS, EMPLOYEES, AND AGENTS AGAINST ANY AND ALL CLAIMS, INCLUDING WITHOUT LIMITATION CLAIMS FOR LIBEL, SLANDER, OR ANY PROPERTY DAMAGE, PERSONAL INJURY OR DEATH, ARISING IN ANY WAY, DIRECTLY OR INDIRECTLY, IN CONNECTION WITH CUSTOMER’S USE, FAILURE TO USE, OR INABILITY TO USE THE WIRELESS SERVICES EXCEPT WHERE THE CLAIMS RESULT FROM THE UNDERLYING WIRELESS CARRIER’S GROSS NEGLIGENCE OR WILLFUL MISCONDUCT. THIS INDEMNITY WILL SURVIVE THE TERMINATION OF THE AGREEMENT. CUSTOMER HAS NO PROPERTY RIGHT IN ANY NUMBER ASSIGNED TO IT, AND UNDERSTANDS THAT ANY SUCH NUMBER CAN BE CHANGED. CUSTOMER UNDERSTANDS THAT CUSTOMER AND THE UNDERLYING WIRELESS CARRIER CANNOT GUARANTEE THE SECURITY OF WIRELESS TRANSMISSIONS, AND WILL NOT BE LIABLE FOR ANY LACK OF SECURITY RELATING TO THE USE OF THE SERVICES. THE CUSTOMER MAY NOT RESELL THE SERVICE TO ANY OTHER PARTY. 13) System Limitations: The Product has limitations including, but not limited to, the following: Azuga Elogs will not function in countries outside of the United States, except Canada, when trucks are operating South of the 60th Parallel. 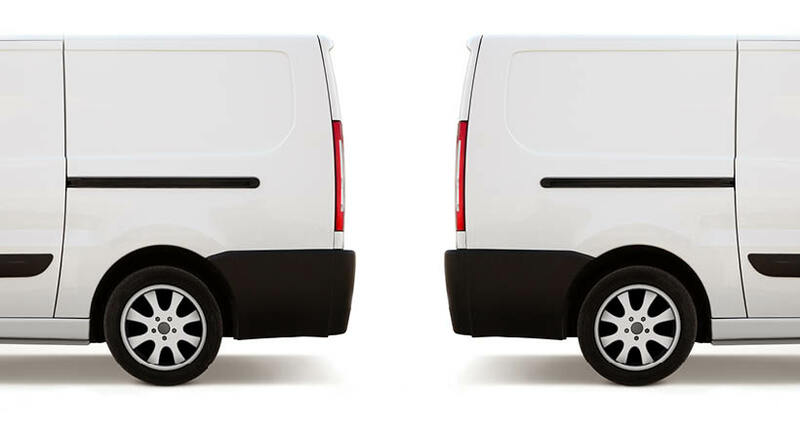 Your commercial vehicle must have a working electrical system, including adequate battery power. 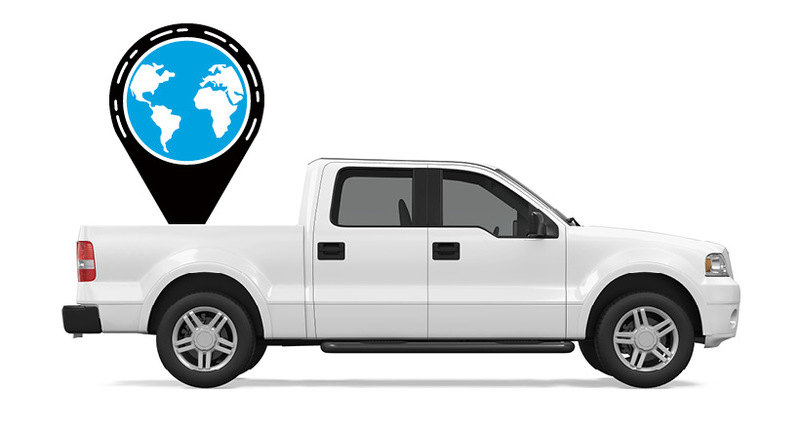 If Global Positioning System (“GPS) satellite signals are not working or the signals are obstructed the System may be unable to determine your Commercial Vehicle’s precise location. Azuga uses commercial mobile wireless service purchased from a third party provider (the “Underlying Wireless Carrier”). Products also will not work unless you are in a place where the Underlying Wireless Carrier we hired for that area has coverage, network capacity, and reception when the service is needed, and technology that is compatible with the Products. 15) Customer agrees to indemnify, defend and hold Azuga, its officers, directors, employees, and agents harmless from and against any liability, loss, injury (including injuries resulting in death), demand, action, cost, expense, or claim of any kind or character, including but not limited to reasonable attorney’s fees, arising out of or related in any way to (i) Customer’s breach of this Agreement and (ii) acts or omissions of Customer or its employees within the scope of this Agreement, (iii) use or misuse of or inability to use the Website or violation of any law or regulation, proprietary, intellectual property, or privacy right in connection therewith. Azuga shall provide Customer with prompt written notice of any claims and provide Customer with reasonable assistance, at Customer’s expense, in the defense of said claims. 16) This Agreement shall be governed by the laws of the State of California, without reference to provisions on conflicts of laws, and the parties agree to submit to the personal and exclusive jurisdiction of the state or federal courts located within Santa Clara County, California for any disputes with Azuga arising out of this agreement. Any action with respect to this Agreement must be commenced by Customer within one (1) year after the claim or cause of action arises. Customer acknowledges that Customer has read this Agreement and understands and agrees to be bound by its terms. Customer further agrees that this Agreement may be updated from time to time by Azuga by posting an updated Agreement at https://www.azuga.com/EULA/.The currently effective Agreement between the parties shall be the most recent agreement posted on the Azuga website at https://www.azuga.com/EULA/. Azuga recommends that Customer print out a copy of this Agreement for their records. Should Customer have any questions concerning this Agreement, Customer may contact Azuga by writing to Azuga, Inc., 2570 North 1st Street, #200, San Jose California 95131. 17) If this Agreement is entered into on behalf of any unit or agency of the United States Government (the “Government”), the following provisions shall apply:1)The Government acknowledges Azuga’s representation that the Products, Website, Materials and Services and all related documentation were developed at private expense and no part thereof is in the public domain. If supplied to any unit or agency of the United States Government other than DoD, the Government’s rights in the Products and Services and related documentation will be as defined in Clause 52.227.19(c)(2) of the FAR. 19) In no event shall this Agreement be governed by the United Nations Convention on Contracts for Sale of Customer agrees and warrants that it shall adhere to the U.S. Export Administration Regulations, as the same may be amended from time to time. 20) Customer acknowledges that the Products, Website, Materials and Services are controlled, operated and administered by Azuga from its offices in the United States of America and India and that Azuga makes no representation that the Products, Website, Materials and/or Services are appropriate, accessible or available for use outside of the United States. Azuga reserves the right to block access to the Products, Website, Materials and Services by certain international users. If Customer uses the Product or accesses the Website from outside of the United States, Customer (or any user) will be solely responsible for compliance with all applicable laws and agrees to comply with all such laws. 21) A printed current version (as displayed on www.azuga.com) of this Agreement and of any notice given in electronic form shall be admissible in judicial or administrative proceedings based upon or relating to this Agreement to the same extent and subject to the same conditions as other business documents and records and maintained in printed form. 22) If for any reason a court of competent jurisdiction finds any provision of this Agreement or portion thereof to be unenforceable, that provision shall be enforced to the maximum extent permissible so as to effect the intent of this Agreement, and the remainder of this Agreement shall continue in full force and effect. No waiver by either party of any breach or default hereunder shall be deemed to be a waiver of any preceding or subsequent breach or default. 23) Customer may not assign, sublicense, or otherwise transfer this Agreement, or any of its rights or obligations under this Agreement without the prior written consent of Azuga. 24) Nothing in this Agreement shall be interpreted or construed as creating or establishing the relationship of employer and employee between Customer and Azuga. 25) This Agreement shall not confer any rights or remedies upon any third party and shall inure to the benefit of, and be binding upon, the parties to this Agreement and their respective successors and assigns. 26) Customer acknowledges that Customer has read this Agreement and understands and agrees to be bound by its terms. 27) Customer agrees that this Agreement may be amended, revised and/or updated from time to time by Azuga by posting an updated Agreement athttps://www.azuga.com/EULA/current All such changes will become effective upon the date first posted to the Website and it is Customer’s sole responsibility to review the most current terms and Azuga does not and will not assume any obligation to notify Customer of changes to this Agreement but may require Customer’s consent to any updated terms before further use of the Products, Website, Materials or Services is permitted. Customer’s continued use of the Products, Website, Materials and/or Services shall constitute Customer’s acknowledgement and acceptance of all such changes. The currently effective Agreement between the parties shall be the most recent agreement posted on the Azuga website at https://www.azuga.com/EULA Azuga recommends that Customer print out a copy of this Agreement for their records. Should Customer have any questions concerning this Agreement, Customer may contact Azuga by writing to Azuga, Inc., 2570 North First Street, Ste. 200, San Jose, California 95131. 1) Towing Service. When a passenger vehicle will not start or cannot be safely driven, it will be towed a maximum of ten (10) miles in any direction from the point of disablement. The service may provide additional towing mileage at the Subscriber’s request at an additional fee at the customers expense. 2) Flat Tire Service. If the passenger vehicle’s spare is inflated and serviceable, ARS will remove the flat tire and replace with the Subscriber provided spare. If no inflated spare is available, the vehicle will be towed in accordance with the Towing provision above. 3) Jump Start. Service is provided to boost or jump start a dead battery to start the vehicle. Expenses for repairs, parts and labor are not covered by this program and are the Subscriber’s responsibility, payable directly to the service facility, and are not reimbursable. 4) Out of Gas. A limited supply of fuel up to three (3) gallons, where allowed by law, will be delivered by the Service Provider to the disabled passenger vehicle to enable the subscriber to reach the nearest open service station. The cost of the fuel is included in the per member per month fee for Eligible VINs. Customer is responsible for the cost of fuel provided in Over Maximum Allotment and Unrecognized VIN events. 5) Lockout Assistance. If the Subscriber’s keys are locked inside the passenger vehicle, a Service Provider will attempt to gain entrance. In cases where the Passenger vehicle cannot be made operable, towing will be provided in accordance with the towing provision in the clause above. ARS shall make the Roadside Assistance Program available to AZUGA customers enrolled in Azuga Fleet as evidenced by data transfers of Eligible VINs by AZUGA. The Parties shall cooperate to coordinate benefits, however, ARS shall be responsible for providing benefits only as described in this Agreement, including all limits and restrictions. ARS will rely on AZUGA’s instructions regarding eligibility of AZUGA Subscribers to receive benefits, therefore, AZUGA shall provide ARS with accurate electronic file transmissions containing Eligible VINs on a daily basis or as otherwise mutually agreed to by the Parties. If a Subscriber calls for Service and ARS is unable to verify eligibility based on AZUGA’s file transmissions, or if the Subscriber has exceeded the maximum number of Services available per period. The Subscriber will be offered Services under the Over Maximum or Unrecognized VIN Program (as described below) at AZUGA’s expense. Any disputes or requests for reimbursement based on inaccuracies in AZUGA’s file transmissions (including delays in adding new enrollments) shall be the sole responsibility of AZUGA. 6) Winching. An eligible vehicle will be winched by a Service Provider when it can be safely serviced from a paved public road or paved private road if the service provider is able to gain access. Maximum distance for winching is 30 feet. Extraction of vehicles embedded in mud, water, snow or similar material is not a covered benefit. ARS will provide Services, as outlined above to any Subscriber, with up to three (3) Dispatches per VIN covered during any 12 month period, measured from the date of initial eligibility. Services are available only to those vehicles and Operators meeting the requirements stated in Section 2.2. ARS’s obligation is limited to the services specifically described above. For the purpose of determining the number of Dispatches used by and/or available to a Subscriber, per Eligible VIN, a Dispatch shall be defined as the dispatch of a single service vehicle to provide any of the Services described in paragraphs 2(a-f), above. A Dispatch may consist of one or more such Services, however if an additional service vehicle is required (for example, if a tow truck is required to assist a Subscriber who initially requested Flat Tire, Jump Start, Out of Gas or Lockout Assistance service), the tow truck shall count as an additional Dispatch. 7) ARS will use reasonable efforts to dispatch a Service Provider or out of network provider to all Subscribers in need of Services. 8) If a Service Provider is not available for dispatch for an extended period of time or when a Service Provider or out of network provider is unable to provide Services in remote areas, on restricted or private highways, during extreme weather conditions, or in areas where it would be hazardous for Service Provider’s vehicles to travel, ARS will advise the Subscriber of servicing options including an extended ETA, a scheduled service for later date, or Reimbursement Consideration. “Reimbursement Consideration” is defined as ARS’s option to reimburse a Subscriber for actual Service expenses up to eighty dollars ($80.00) when the Subscriber has first requested authorization from ARS to secure Emergency Roadside Assistance Services on his own. 9) Other users of a Subscriber’s Vehicle. Subject to the restrictions stated in Section 2.2, all users of the Vehicle containing the Subscriber’s Azuga Fleet Vehicle device shall be eligible to receive Services. 10) Services described in this document are not available to vehicles involved in an accident involving injury or vehicle damage.